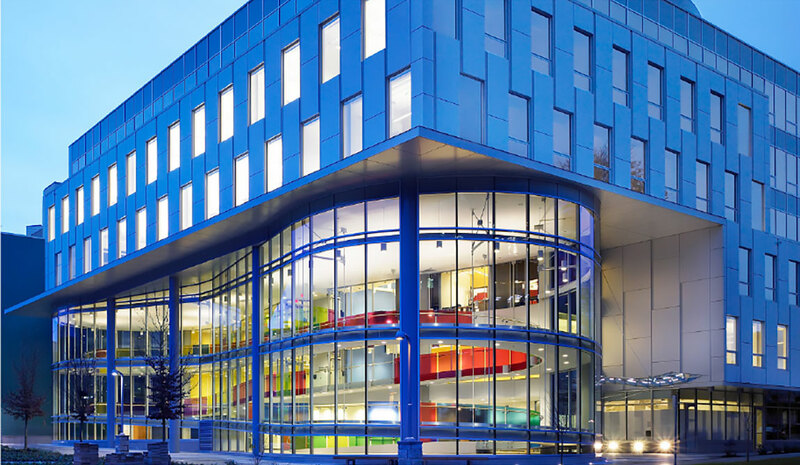 The Blusson Spinal Cord Centre is the world’s largest, most advanced and most comprehensive facility completely dedicated to the pursuit of spine and spinal cord research and patient care. Opened in 2008, the Blusson Centre is one of the world’s most accessible buildings, starting from the ground up. 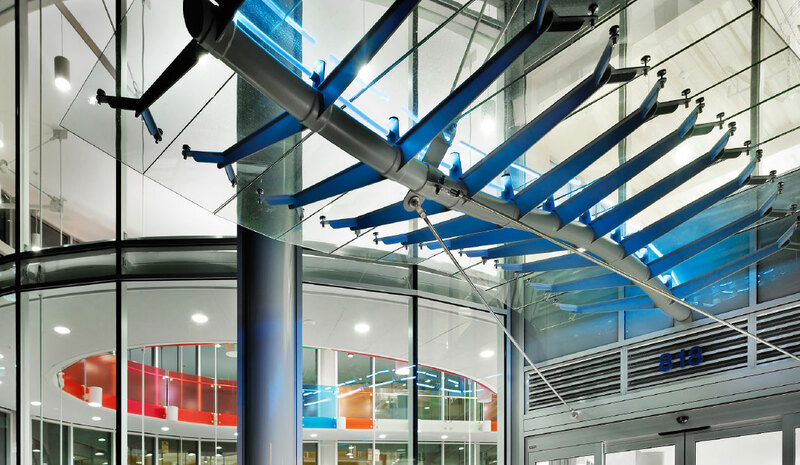 The Blusson Centre is home to the Brenda & David McLean Integrated Spine Clinic which provides clinical services to the Vancouver Spine Surgery Institute group of surgeons. It features specialized clinical services for pain management, sexual health, skin and wound care, urodynamics, as well as a dedicated X-ray suite. Blusson is also the home of ICORD, the International Collaboration on Research Discoveries. By having ICORD’s multi-disciplinary researchers together under one roof, they are able to work closely with not only each other but directly with patients who are living with spinal cord injuries. This has accelerated the development and implementation of innovative new therapies and practices designed to promote functional recovery and improve quality of life. Our first floor includes ICORD’s Physical Activity Research Centre which is a fully accessible gym where members of the local spinal cord injury community can participate in research on exercise and physical activity. The third floor is ICORD’s Human Locomotion Lab where gait and locomotion are studied using robotic and exoskeletal technologies as well as a human performance lab for cardiovascular and respiratory health. The fourth and fifth floors are home to pre-clinical discovery labs where ICORD researchers are investigating a wide range of SCI-related topics including cell transplantation, neuroprotection, wound healing as well as ICORD’s engineering lab where injury biomechanics and prevention are studied. The sixth floor is home to the business offices of the Vancouver Spine Surgery Institute as well as the Rick Hansen Institute. The Blusson Spinal Cord Centre is named in honour of Dr. Stewart and Mrs. Marilyn Blusson in recognition and gratitude for their generous donation towards its construction.